Below is the full edit of Ben's video on France, Sarkozy, and the future of the Eurozone. 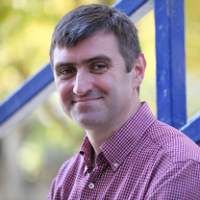 Professor Ben Clift is Deputy Head of Department and Director of Research. He studied at the University of Sheffield for a BA in French and Politics, and an MA in Political Economy. He received his PhD from the University of Sheffield in 2000. He joined the department in 2003 after holding posts at the University of Sheffield and Brunel University. He has held visiting positions at Sciences-Po, Paris in 2007 and 2013, and in 2009 he was a visiting research fellow in the Department of Politics and International Relations at the University of Oxford. His latest book, The IMF and the Politics of Austerity in the Wake of the Global Financial Crisis has recently been published with Oxford University Press. There is podcast interview with Ben about his book on the NewBooksNetwork. It was reviewed by Prof Tony Payne, and featured on these blogs: VoxEU; Progress in Political Economy ; PERC ; LSE European Politics ; OUPBlog ; Economic Sociology & Political Economy. Ben recently won a highly prestigious Leverhulme Major Research Fellowship for a project entitled, ‘The Office for Budget Responsibility (OBR) and the Politics of UK Growth amidst Brexit, Uncertainty and Austerity’. This will run from October 1st 2018 to September 30th 2021. Ben's wider research interests lie in comparative and international political economy, and he has published widely on the IMF, French and comparative capitalisms, the politics of economic ideas, capital mobility and economic policy autonomy, the political economy of social democracy, and French and British politics in journals including The British Journal of Political Science, Journal of Common Market Studies, The Journal of European Public Policy, The Review of International Political Economy, New Political Economy, Party Politics, and Political Studies. He was co-editor (with Cornelia Woll) of a 2012 special issue of The Journal of European Public Policy entitled 'Economic Patriotism: Political Intervention in Open Markets'. His previous book Comparative Political Economy: States, Markets and Global Capitalism was published with Palgrave (2014). He co-organised a conference on France and the Politics of Austerity at the University of Oxford, and co-edited two journal special issues, arising out of the austerity conference, for French Politics and Modern and Contemporary France. You can follow Ben's work on Academia.edu. Click here for more about Ben's research. Click here for more about Ben's publications. The Disciplinary Politics and History of IPE as a field of study. Ben Clift is normally module director for the PhD Core Module Doctoral Thesis Writing in Politics and International Studies (PO 961). He has been module director for the undergraduate module 'States and Markets: An Introduction to International Political Economy', which he created in 2004. Previously he also convened the masters module 'Theories and Issues in International Political Economy'. He is interested in supervising PhDs in a range of international and comparative political economy fields, as well as on French Politics and European Political Economy. Click here for more about Ben's teaching and supervision.